Mother’s Day comes each year in the middle of spring, when flowers are in full bloom and ready to be picked for a colorful bouquet. Father’s Day follows six or seven weeks later, as spring breezes yield to the warmer rays of the summer sun. Together these holidays remind us of another season in life that has passed, and of one that is yet to come. For children, these are occasions not only to think about mom and dad, but also to think about someday becoming a mom or a dad. For parents, these holidays hold special meaning, summarizing, as it were, each child's birthday. For the older generation, a dual celebration occurs as mother and father contemplate not only the heritage they have received from their parents, but also the legacy they are leaving to their own children. Parenthood involves dedicated work and is thoroughly immersed in secular concerns—the things of this world, such as home and clothing, food and healthcare. But parenthood also properly has a spiritual dimension. Children are to be trained in the fear and knowledge of the Lord. This, too, takes work, but it is above all the work of God in and through parents’ lives that makes parents so important to their children and to the nation that pauses to honor their vocations. Martin Luther defined “vocation” broadly to include any station of life to which God calls a person in order that God might distribute His bountiful blessings to other people through that person. Prior to the Reformation, it was commonly supposed that only the clergy, or members of a religious order, had received a divine call from God—vocatio divina in Latin. Medieval society also at times recognized civil magistrates as people serving according to God’s calling, since they exercised the “divine right of kings.” In contrast to the prevailing social convention, Luther not only included the common peasant’s mother and father in his theology of vocations, but even more boldly he insisted that no other estate—neither the ecclesiastical authority nor the civil government—was higher than the office of parenthood. “To this estate of fatherhood and motherhood,” wrote Luther in his Large Catechism of 1529, “God has given the special distinction above all estates that are beneath it that He not simply commands us to love our parents, but to honor them.” Love is what each person owes to his neighbor, to his brother or sister, to his co-worker. Honor encompasses love, but goes further, involving “modesty, humility, and deference as to a majesty there hidden.” Whether peasant or princess, a child should see in mother and father the hidden majesty of God Himself, who places parents in their children’s lives for their blessing. It is through parents that God “nourishes, protects, and defends us, and bestows so much good on body and soul.” Therefore, God commands that they be honored. Just as children are the natural fruit of the marital union, so also parenthood is the natural fruit of marriage. From this foundation, society receives both its origin and its purpose. At creation, God established marriage as a one-flesh, life-long union between a man and a woman. He blessed this institution and assigned to it a divine ordinance of procreation: “Be fruitful and multiply” (Genesis 1:28). Just as children are the natural fruit of the marital union, so also parenthood is the natural fruit of marriage. From this foundation, society receives both its origin and its purpose. “All authority,” explains Luther, “flows and is propagated from the authority of parents.” Teachers, civil magistrates, and others who lead, provide for, or protect us derive their authority from the office of parenthood. “For where a father is unable alone to educate his child, he employs a schoolmaster to instruct him.” Similarly, Luther speaks of “those who in their government perform the functions of a father, and should have a paternal heart toward their subordinates.” In this manner, civil government is “all embraced in the estate of fatherhood.” Luther therefore interprets the Fourth Commandment—“Honor your father and your mother”—to involve our respect due not only to parents, but also to all others whom God has placed in authority to bless us. Talk of honor and authority do not often receive a warm welcome in the ears of many Americans. Ours is a democratic age in which we assert that all people are of equal station. Like rebellious teenagers, citizens dishonor the civil authorities; like citizens who disrespect their superiors, adolescent children assert their rights over mom and dad. What begins as a dream for equality soon becomes a reality of chaos. Here again Luther has gleaned some pertinent insights from Holy Scripture and set them forth clearly in his Large Catechism. First, he acknowledges human equality: “in other respects we are, indeed, all alike in the eyes of God.” Our nation recalls the words of its Declaration of Independence: “All men are created equal.” Christians recall the words of St. Paul: “There is neither Jew nor Greek, there is neither slave nor free, there is neither male nor female; for you are all one in Christ Jesus” (Galatians 3:28). All people participate in a fundamental equality as fellow humans, created in the image of God. Christians from all walks of life unite in the Body of Christ as equals in sin and equals in grace. Nevertheless, there remains a hierarchical order. 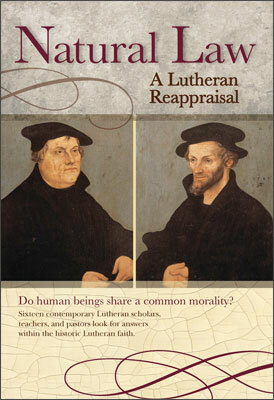 Luther continues: “among us there must necessarily be such inequality and ordered difference, and therefore God commands it to be observed, that you obey me as your father, and that I [as a parent] have the supremacy.” Similarly, every child owes to his or her mother the honor appropriate to “the majesty there hidden.” In summary, all persons are equal in the eyes of God, first through creation and then again through redemption in Christ Jesus, but all are ordered by God in their callings as parents and children, as magistrates and citizens, such that children should honor their parents. [God] does not wish to have in this office and government knaves and tyrants; nor does He assign to them this honor, that is, power and authority to govern, that they should have themselves worshiped; but they should consider that they are under obligations of obedience to God; and that, first of all, they should earnestly and faithfully discharge their office, not only to support and provide for the bodily necessities of their children, servants, subjects, etc., but, most of all, to train them to the honor and praise of God. To teach children to honor their parents, therefore, teaches them also to honor God. For it is God who gave them their parents. And it is God who gave them Christ, His Son, to forgive the sins of the children and of their parents. It is, finally, God’s Holy Spirit who sanctifies the vocations of fatherhood and motherhood, making these offices most worthy of our reverent contemplation.